Highlight categories on homepage to make featured categories of your store (or to promote your popular categories). Helps your customers find more quickly the most featured categories of your store. Displays a name, a description and an image of each category. You can configure a root category of subcategories to display on home page. You can configure a number of columns of categories to display (only for PrestaShop 1.3, 1.4, 1.5). You can configure the width adjust of the block of categories (only for PrestaShop 1.3, 1.4, 1.5). Website demo for PrestaShop 1.7 (v1.5.0). Website demo for PrestaShop 1.6 (v1.5.0). Thank you for using this module. Did you installed the latest version of the module (1.5.0)? I just checked again in PrestaShop 1.7.5.1 with default theme - all is working fine. To discuss your problem is better to use the module's topic in the forum. to begin, thx for the free module. I have this problem: I have installed it (ps version: 1.7.5.1) and I can´t see any image of the category, just a vertical listing with the categories. Am i doing something wrong? 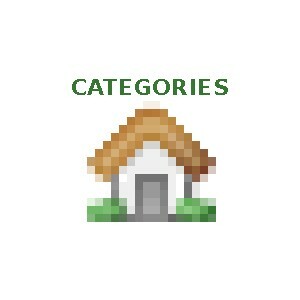 The problem with displaying a category image in PrestaShop 1.7.4 and newer was fixed. Not, you can't, but it is not needed for new PrestaShop versions. Is it possible to change the number of columns and the width of the block in version 1.7? module is working perfectly on PS 1.7.1 however when i upgraded to 1.7.4.2 category images are now showing on home page and displaying image not available. any advise how to solve this issue. Change hook position. The hook name in PrestaShop 1.6 is displayHomeTab. How do i get the catogories link in the left (first place) in the home page tab? The main change:added 'alt' attribute to 'img' tag, removed unnecessary attribute 'title' from 'img' tag.